A few months ago I came across a tweet about Bucket-lists and realized I never really had one ! I knew there were things I wanted to do for the future, but I hadn’t written them down. The more I thought about it the more I realized there were things I had forgotten about, lost dreams or lost desires, whatever they were they were forgotten. I decided then and there to create an online bucket list (because lets face it I will lose a piece of paper in seconds), I was looking for a website that gave me the option publicly view some parts of the list and hide others. While I was doing my research I found a few posts about “Reversed Bucket-Lists”. The idea of a Reversed Bucket-List is to list all your achievements, success stories or things you are happy you’ve done to date, they may not have been on your bucket-list or you may not have thought about them previously, but the fact of the matter is you did them and they are part of your story so why not celebrate them. I started my Reversed Bucket-List almost immediately as I knew I had done so much and I wanted a place where I can see them all together. I had these amazing pictures of magnificent things stuck in either my phone or my laptop, they deserved to be shared ! It is always nicer to see pictures than to read text, specially when you are celebrating something ! The importance of a Reversed Bucket-List was again brought to my attention yesterday while we were recording a podcast with the Sail Team. Our discussion got us talking about my September article which is about Depression, at some point Abdullah (@Aabo0) said that sometimes people feel they haven’t achieved or done anything significant all day which makes them feel bad and probably add to their depression. Although how much you have achieved is based on your perception of things, however remembering the wonderful things you have done makes a big difference. Having a Reversed Bucket-List will help you see how much you have done in the years you have been on this planet, planned or not planned, serious or silly they are worth celebrating, and believe it or not, the minute you start celebrating these things you will feel like you own the world. It was past midnight and he was fast asleep in his dark room, there was some light shining from a small crack in the door, but barely enough to see any details. He had had a long couple of days. He was flying in from half way around the world with a stop in the middle, but both his planes were delayed and so the 24 hour trip took 34 hours instead. The suitcase was open, the clothes were neatly laid, everything else was in small travel organizing pouches and bags, but there was a hollow space in the suitcase showing that he had removed something from there. The desk had piles of papers and files on it, all stacked on top on each other, some of them had odd markings on them, and others had scribbles with an understood language. The rest of the room was simple, a wall to wall shelving unit that carried books with all colors and sizes. There was a small painting on the furthest wall from the door, but it was too dark to see the details, perhaps it was of a girl? or was it a boy? It was so quiet in the room that the sound of his steady breathing was the only thing anyone could hear. It was obvious how exhausted he was, he hadn’t moved an inch since he lay down 3 hours ago. A small shadow moved by the door, suddenly the hair on his neck rose and a sweat broke along his forehead. The shadow moved closer to the door and with every step he felt more anxious in his sleep. The figure was going to him, moving as fast as possible, arm raised, holding that sharp edged thing, it was too dark to see what or who was in the room and what it was holding. Suddenly his eyes were wide open, he couldn’t move, it looked as if he was paralyzed. The shadow was standing right by his side. once upon a time i was surfing the internet using an awesome invention called “StumbleUpon” when I ‘stumbled’ onto this amazing website called “BeKindRewrite” . I started reading a post about how to create the perfect world without boring your readers, as always I started looking at the other content on the website when I found “InMon” ! InMon stands for InspirationMondays .. so what happens every Monday that is so inspirational? The team at bekindwriter will post vague writing prompts every Monday to inspire writers from anywhere and everywhere regardless of age and background. The writer may choose any of the prompts to either write a story (200 – 500 words) using one of the prompts in the text or in the title. 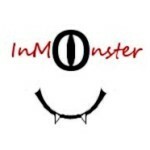 Dubbed as InMonsters, the writers are welcome to participate in this much needed project to practice their writing skills, challenge their thoughts or have fun. Stay tuned for my InMon posts ! Centophobia is defined as Fear of new things or ideas, it is a state in which a human being, like you and me, is so afraid of new things or new ideas it leads to hysteria, panic attacks, chest pain and sweating ! Picture it: Sicily 1942.. Kidding !! If you didn’t get the above joke then you clearly aren’t a fan of “The Golden Girls” TV show, but on a more serious note..
Thankfully, that scenario only happens to those of us who have Centophobia, the rest of us feel slightly different. Most people don’t humor the idea of new things, they will either dismiss it, disagree with it or find every single excuse on earth to prove its not a good idea. For the people who are shocked by the previous statement, believe it or not (sarcasm) there is a logical explanations to why people react that way ! Luckily, these people are not as bad as the people with Centophobia or even worse, like people with Ablutophobia which is Fear of washing or bathing (yuck) !!! The brave ones, however, will not only be up for the new idea but will actually suggest it. They will fight for their idea and go through all the barriers to make it happen. These people are visionaries. So.. which one are you? The word Phobia, pronounced Fobia, is derived from the Greek word Phóbos which means “fear”, luckily enough the definition of Phobia can also be summed in that four letter word, F E A R.
It is funny how the most intelligent species that ever walked the earth can get goose bumps by just hearing the word Phobia, without thinking twice, we start remembering the things that scare us the most, start torturing ourselves with mental images and for no reason scare ourselves half to death ! Now, you might be wondering why I’m writing about Phobia, have I actually gone completely mad? (lets face it, I was on the edge). After reading the list of Phobias I first thought Human beings can be very ridiculous, then I thought Human beings can seriously be very ridiculous, but then I started to think about some of these Phobias and how they can seriously effect the way we live, the more I thought about it the more I realized how much fear controls us. Phobia is more common than we think it is, and Phobia doesn’t have to be scary like being shot to death, there are some people who are afraid of laughing !! (believe me, its called Geliophobia) Although the kind of Phobias out there can sometimes be a bit hard to believe, some of them actually make a lot of sense. So being the nice person that I am, I am going to start a series on different kinds of Phobia, not to make fun of people or the types of Phobias that exists, but to take some of these Phobias and see how they effect our daily life, not as a Phobia per say, but as something we fear.